A chic Aston Martin for the most important people of Liberty City. 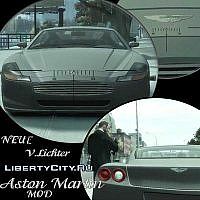 Aston Martin V12 Vantage 2010 - British luxury coupe for GTA 4. Convert from Forza 3.